Genre-fluid native New Yorker Rachelle Garniez is known as a certified free spirit. She is at home in many worlds, from busking on street corners to performing on stages around the globe. 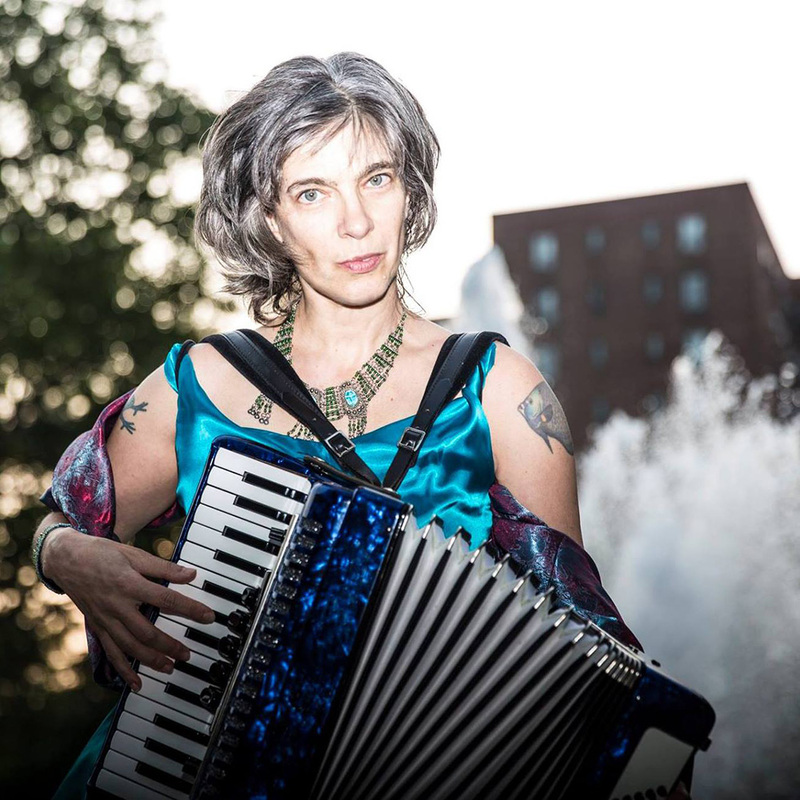 Rachelle has released 6 albums of original material; her influences range from Tin Pan Alley classics to klezmer, roots and Latin flavors. Her story songs have been described as “romantic, rhapsodic and casually hilarious.” (The New York Times). See Rachelle Garniez videos on YouTube: Just Because You Can, Jean Claude van Damme, and Flat Back. Tickets now available. Order tickets now.